As Gujarat is facing the water scarcity problem the efforts are there to save water and spread awareness among the people to stop wasting it. 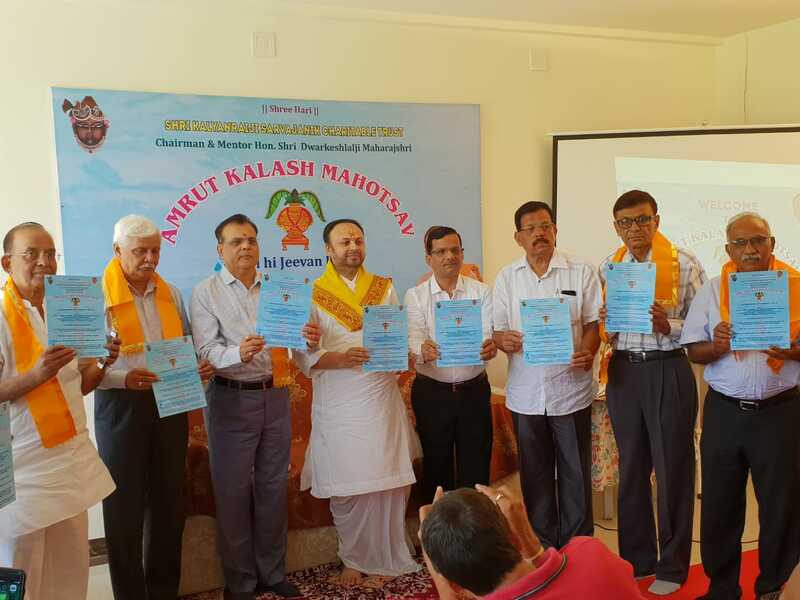 With such a thought a year long campaign named Amrut Kalash Mahotsav was launched in Vadodara. 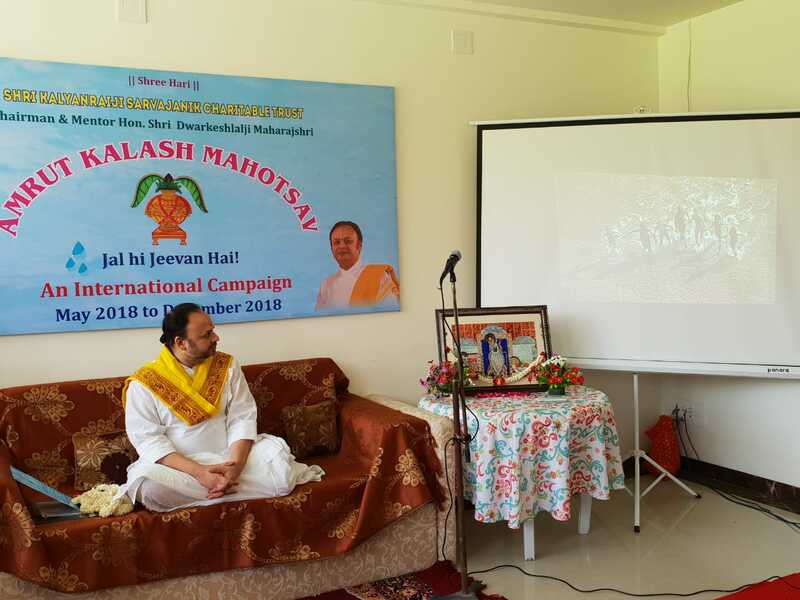 The international campaign will extend for six months with various awareness programme lined up for various walks of life. efforts, this vital supply of water may be exhausted. There is an utmost need to save water now to provide a healthy environment to our future generations. 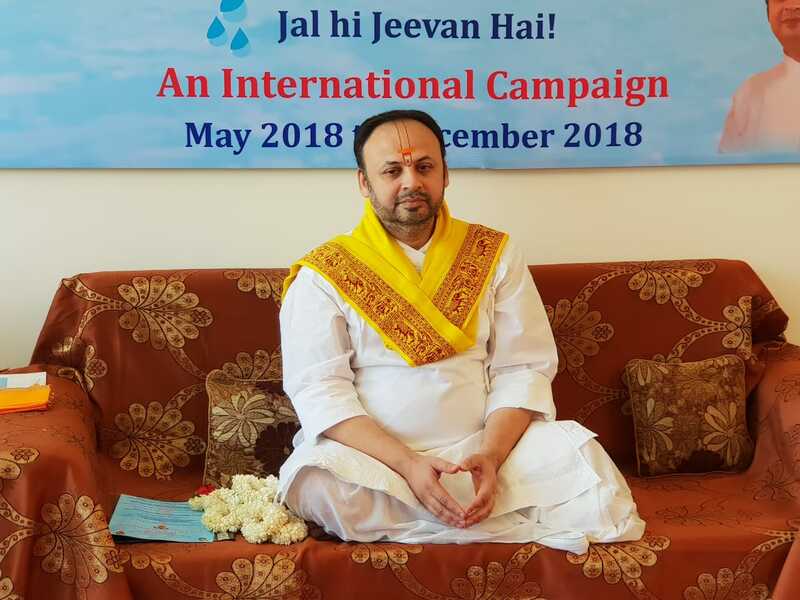 Under the guidance of Dwarkeshlalji Maharajshri, the campaign “Jal Hi Jeevan Hai” has been started. 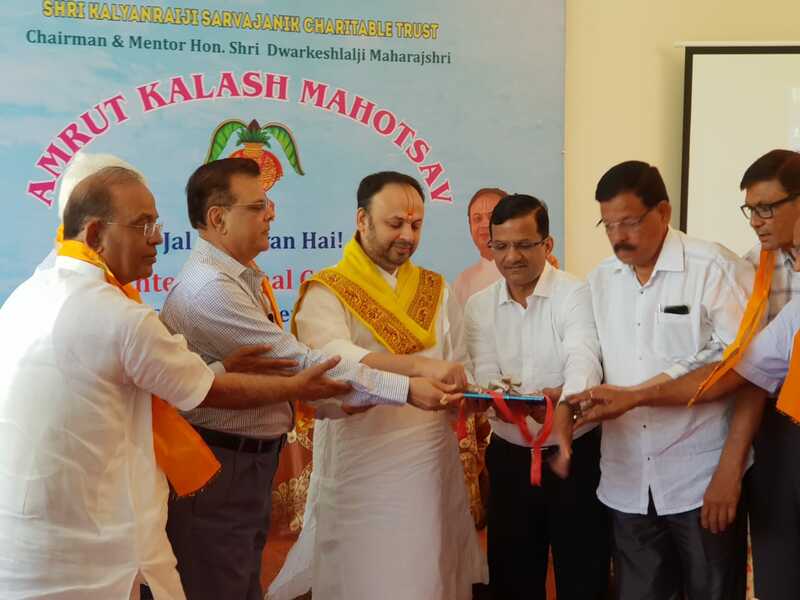 The Amrut Kalash Mahotsav is an initiative by Kalyanrayji Sarvajanik Charitable Trust where they are planning to bring about a permanent change in the water retention system by installing Percolation Wells in different parts of the city and thereafter across the Nation. In this campaign around 400 young activists of Youth Organizations in Vadodara like Lions, Rotary will support the campaign. Amrut Kalash Mahotsav will be spread across seven months where the aim is to reach out to schools, colleges, NGOs and citizens of not only Gujarat, but the entire nation as well as Global citizens. July 2018: Visiting other organizations such as NGOs like Lions, Rotary, etc. On December 2018 the the project concludes with three day long programmes. 0n 28th Dec. A Ganga Lehri Grand Musical Concert followed by Kalash Arpan Addressal by Dignitaries on 29th and concludes on 30th Dec. with Amrut Kalash Yatra & 7 Rivers Jal Pooja Closing Ceremony.